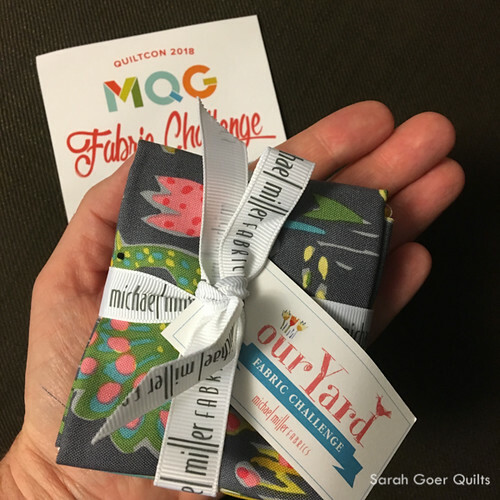 The MQG Michael Miller fabric challenge for QuiltCon 2018 featured the Our Yard collection by Sarah Campbell. I love peacocks and knew from the beginning that I wanted to feature the peacock from the animal print. I’ve been playing with Planned Improv and chose my All About Angles technique for this project, adding in fussy cutting to feature the animals. I visited Golden State Quilting, my LQS, to choose solids to coordinate with the line. I settled on Stone, Charcoal, Seafoam, Girl, and Watermelon, in addition to the Gold included in the challenge pack. Here's a peek at my design wall in the middle of my process. I settled on a long, narrow layout for my quilt. It solved the problem I was having with the distribution of the animals and I liked how my eye traveled over the quilt. For the quilting, I chose three motifs that each had horizontal movement and switched between the three for each row. 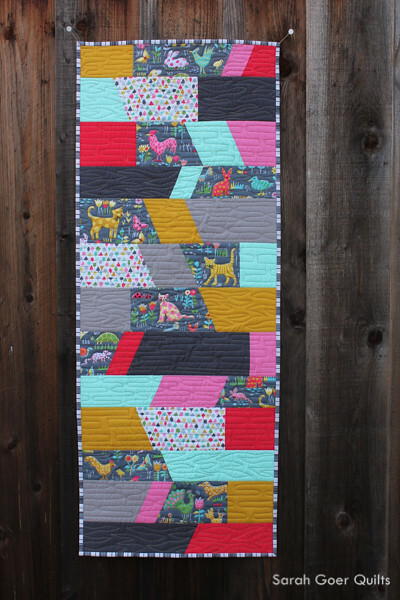 On the animal prints I combined that row's motif with outline quilting around the feature animals and other elements. 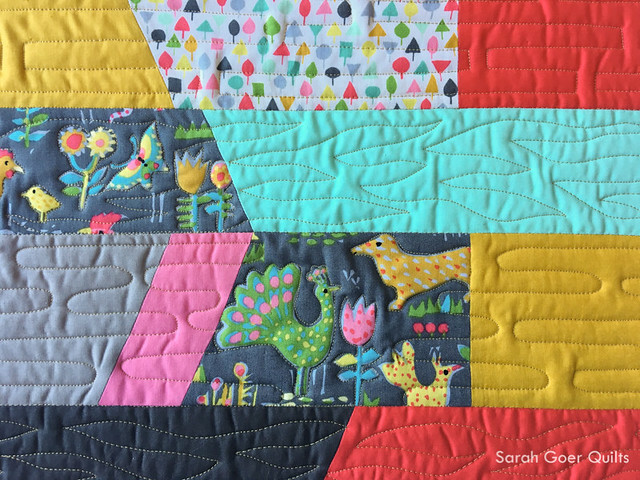 I enjoyed the challenge of free motion quilting around the animals as well as working with a palette outside of my norm. It's quilted with Aurifil Beige (#5010) in 50 wt. I liked that the beige had a nice contrast without being too dramatic. I think I need to invest in more neutral colored thread. I love a striped binding and was happy use the stripe from the challenge pack for my binding. I got some help from my friend Mel for how to baste my binding with Elmer's glue. It was a hot mess last time I tried, but this time it worked out so well! Then no binding clips needed to hand stitch it. All About Angles and Animals finished at 16" x 40.5". It was one of my two submissions for consideration to hang at QuiltCon 2018 in Pasadena, CA. Notifications are due out by the end of the month. I will begin teaching my All About Angles workshop in 2018. 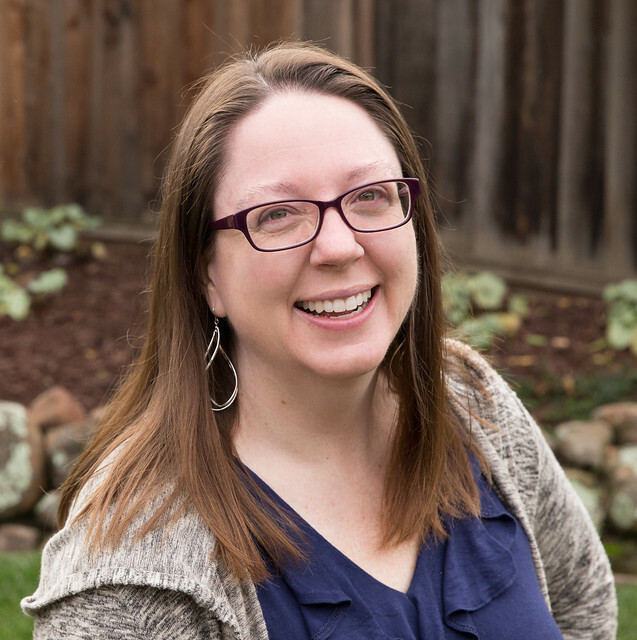 This 6-hour workshop includes cutting techniques to build sections featuring complementary angles with no measuring and no math. 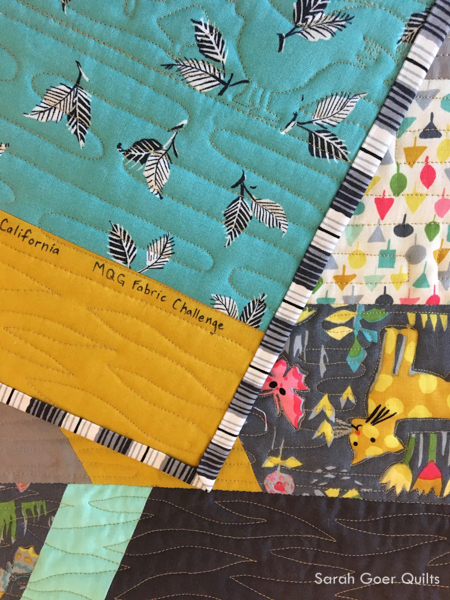 Students bring a selection of solids, batiks or hand-dyed fabrics and leave with a completed slab (larger than you see below) suitable for finishing as a mini quilt or building upon for a larger project. I've linked up to the 2017 Q4 Finish Along link up. See my whole Q4 list here. Posted in Quilting. 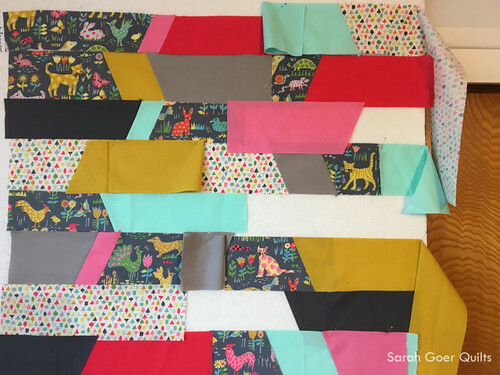 Tags: all about angles, challenge quilt, finished quilt, planned improv, wall hanging quilt on December 5, 2017 by sarah. 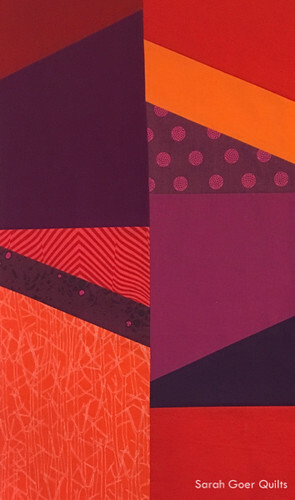 Great job on highlighting the challenge fabrics using your All About Angles improv technique!! 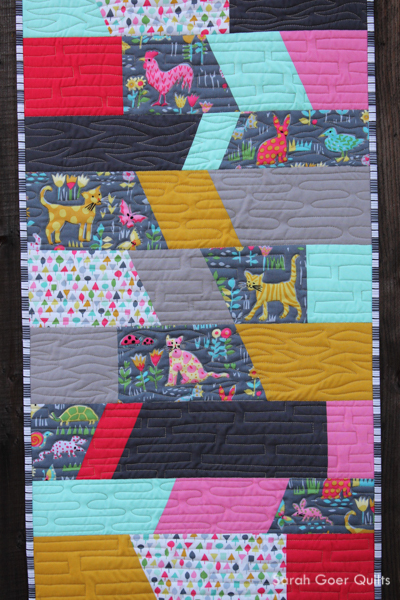 The quilting looks amazing and so glad you are a convert of using elmer's glue in the binding process!! And now I want to see more of that hot colored All About Angles slab!!! The striped print makes an excellent binding! I think everyone who participated in the challenge did an amazing job with an eclectic grouping of prints, and the combination of outlining the animals and FMQing works beautifully. 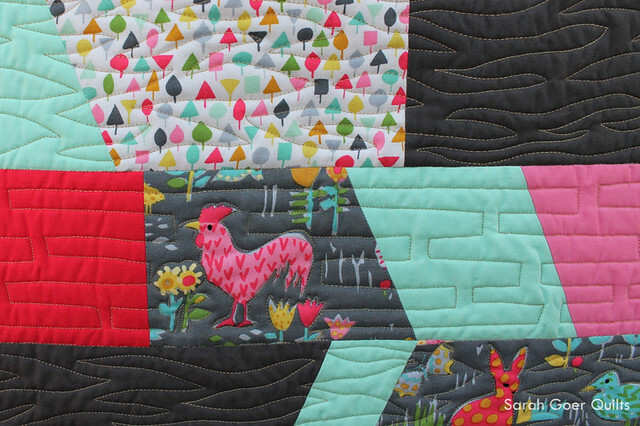 I really enjoy quilt challenges. I love a fabric challenge in particular, because it's so interesting to see what different people do with the same fabrics. Thanks for visiting, Yvonne. Beautiful quilt! I love how you highlighted the prints in the design. Well done. I like the movement that draws your eye downward. Good luck. I love how this has turned out Sarah. I am rather envious that you were able to visit a LQS to get co-ordinating solids - no such luck in the UK! Well done on completing a FAL goal. Thank you got taking part in the 2017FAL - from the FAL hosts. It's easy to take for granted the ease of getting to a quilt/fabric shop. We've had a couple local shops close recently. I think competing with online business is hard, but it is so nice to be able to walk in and see and touch fabric in person. Especially when color matching. Do you use a color card at all for any of the solid brands?